I am a blogger and content writer based in the UK. I have been writing warm, witty, informative blog posts that connect with readers for six years. My own blog has been featured...Read moreI am a blogger and content writer based in the UK. I have been writing warm, witty, informative blog posts that connect with readers for six years. My own blog has been featured by Mumsnet and NetMums, and I won a blog competition run by BritMums and IATA in 2015. As well as writing blog posts around studying and parenting, I am a book reviewer for NetGalley, reviewing up and coming releases. As well as my own blog, I am a contributor to the popular online community, The Motherload, where I write about parenting. One of my posts has been reproduced by a local NCT magazine. 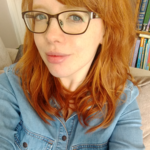 I am also the blogger for Revealed Projects, a project based in Weston-super-Mare that works with young people around with self-esteem and healthy relationships. I write about the topics that Revealed covers, including body image and the media, mental health, and identity. I am passionate about writing! I am constantly working to improve my skills, and I am currently working on my degree in English Literature and Creative Writing. I have several areas of interest: I write about parenting small children, studying, and literature. I am looking to write blog posts, articles, and content for eBooks. I am also interested in ghost writing and wish to gain experience in this area. I am a fast worker, articulate, professional, and keen to help you with your next project! 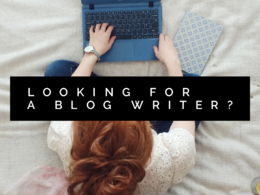 Write a 500 word blog post about any subject you need!